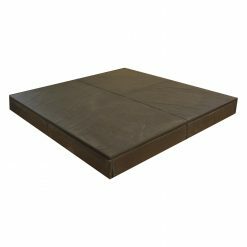 Slate Hearth Tiles are a very popular choice for use with for fire surrounds and hearths. 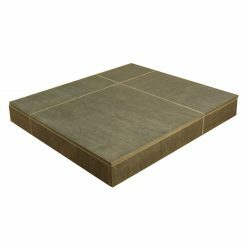 These slate tiles are used for both solid fuel and wood burning stoves. In addition they used frequently to provide a surround to open fires. 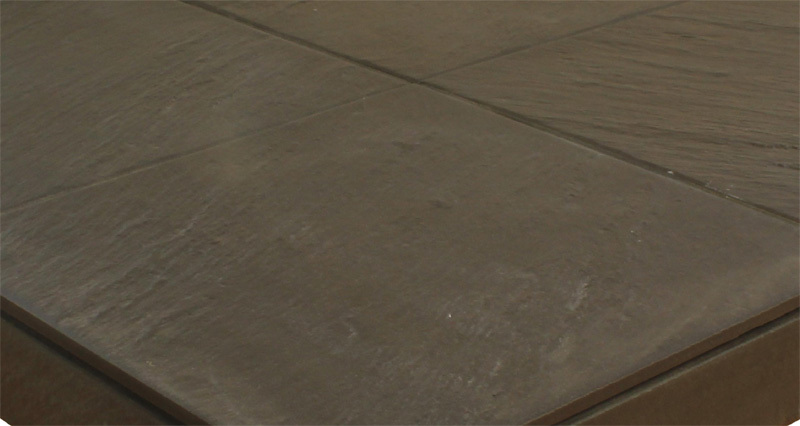 Slate hearth tiles are increasingly popular due to their versatile style. The rich charcoal appearance compliments the style of wood burning stoves extremely well and provides a modern, unobtrusive and solid base to a solid fuel burner. 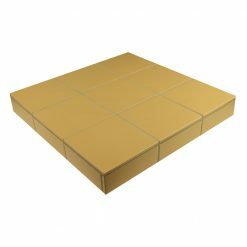 These hearth tiles can also provide an equally suitable base to a traditional fireplace, and give a contemporary update creating a beautiful contrast between the understated style of the slate and the functional and eye catching glazed fireplace tiles that surround the fireplace itself. 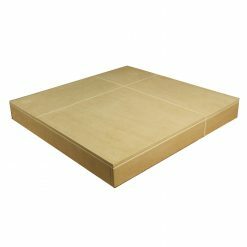 The images illustrate the main differences between natural slate tiles and porcelain slate tiles. 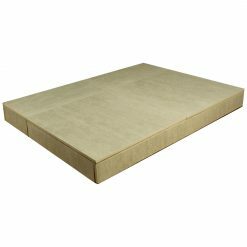 Due to the natural structure of slate, it is extremely difficult to get a clean, precise edge to the tiles made from this material. 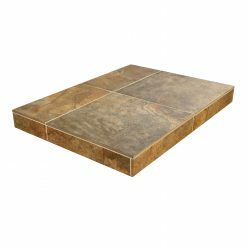 As a result, the hearths made from these tiles have a rustic, homespun appearance which might be the design objective for some. At FireTile we have responded to our customers requests for a tile that has the appearance of slate hearth tiles, whilst also having the all the benefits of the porcelain tiles, namely easy fitting and an extremely neat, contemporary join. If you are looking for the best of both for a home interior design project, check out our very popular black slate porcelain tiles. 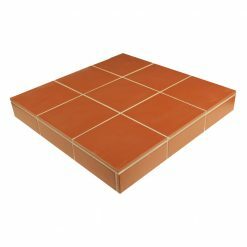 We also stock these tiles in a wider range of colours to meet your design requirements. 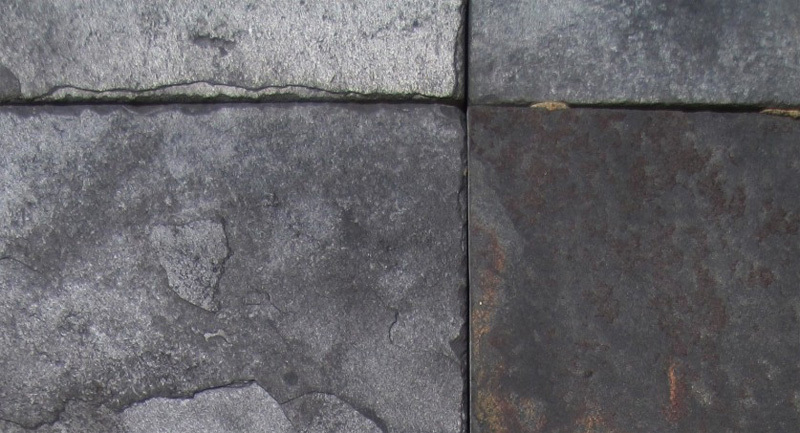 Due to the natural nature of slate, one design weakness is that the edge cannot be finished to form a perfect fit. DPorcelain Slate Heath Tiles have all the visual appeal of natural slate tiles, with easier fitting and a more stylish, contemporary end result.